John Auwaerter works in the Department of Landscape Architecture at SUNY College of Environmental Science and Forestry as Co-Director of the Center for Cultural Landscape Preservation, Instructor, and partner with the National Park Service Olmsted Center for Landscape Preservation. John’s interests and experience include historical research, graphic documentation, analysis, and treatment of cultural landscapes, urban planning, and teaching of historic preservation practice. He holds a BA in history from Middlebury College, a MA in historic preservation planning from Cornell University, and a Master of Landscape Architecture from SUNY ESF. John lives in Syracuse’s University neighborhood with his wife Kate and two children. Dean Biancavilla (AIA, LEED-AP) is the Co-Director of the Urban Design Center of Syracuse, Inc., a not-for-profit organization linked to Syracuse University School of Architecture, the American Institute of Architects Central New York Chapter (AIA/CNY), SUNY ESF, ASLA Upstate Chapter and the Downtown Committee of Syracuse under CenterState CEO. 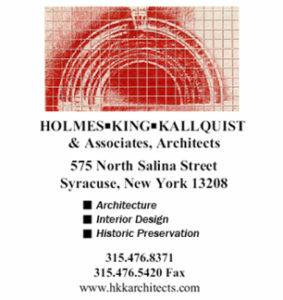 Mr. Biancavilla is a preservation architect & Associate at Holmes King Kallquist & Associates, Architects, LLP, with experience in historic neighborhoods, landmarks and historic resources. Dean is also Chair of the Historic Resources Committee for the American Institute of Architects Central New York Chapter (AIA/CNY). Cynthia Carrington Carter has been involved with Historic Preservation projects for the past thirty years, with experience as a planner, historian, and specialist in cultural resource management. Cynthia received a Bachelor of Arts in Architectural History from SUNY Binghamton and a Master of Science in Historic Preservation from the University of Vermont, and is qualified as an architectural historian under the U.S. Department of the Interior’s requirements identified in 36CFR61. In 2000, she began Renaissance Studio, a New York State Certified Woman-Owned Business Enterprise specializing in historic resources surveys, National Register nominations and Historic American Buildings Survey/Historic American Engineering Record reports. She currently serves on the Syracuse Landmark Preservation Board. Cynthia and her husband, Emanuel, live in the National Register listed Scottholm Historic District, in the city of Syracuse. 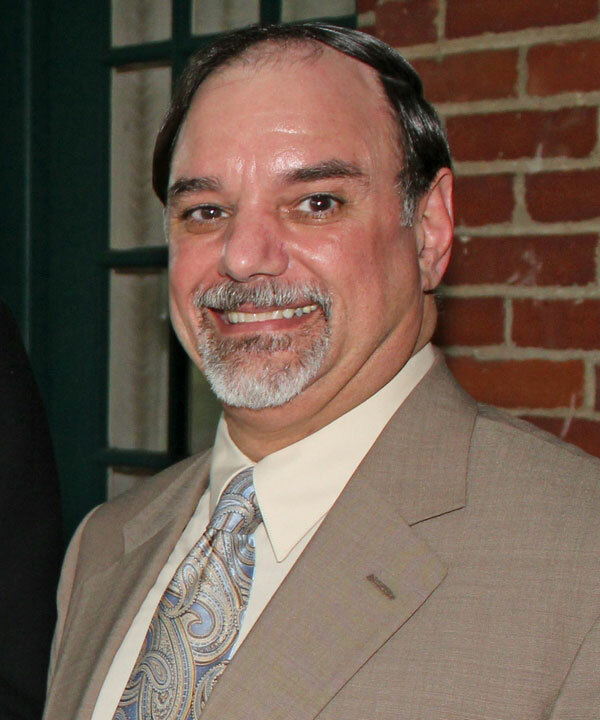 Rich Cunningham is Vice President and Senior Consultant of Thoma Development Consultants, a multi-faceted community development and planning firm in Cortland, New York. He holds a B.F.A. degree from Syracuse University, has completed Masters level work at the University of Vermont, and is a Certified Main Street Manager through the National Trust for Historic Preservation. Prior to his 20 years at Thoma, he was the Executive Director of PRIDE of Ticonderoga, a non-profit Rural Preservation Company in his hometown in northeastern New York. Rich has experience in grant development and implementation, community planning, housing, downtown revitalization, historic preservation and construction management. 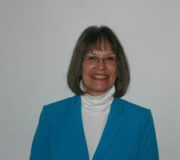 Mary Duffin is an Elementary Teacher at Moses DeWitt Elementary in the Jamesville – DeWitt Central School District. 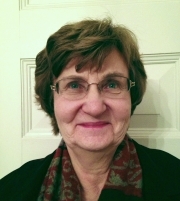 She has been involved with local and state organizations for teaching Social Studies: the Central New York Council for the Social Studies and, as vice-president and president, the New York State Council for the Social Studies. Mary has brought students and teachers to many historic sites for special programs and encourages the importance of preserving our history to help the future learn from the past. She has been a long time member and board member of PACNY. She has her MA from SU in Education and lives in DeWitt, New York. 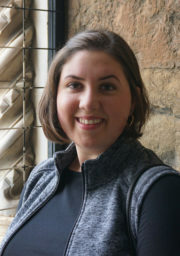 Nicole Fragnito is a recent graduate of the Museum Studies, M.A. and Cultural Heritage Preservation, C.A.S. programs at Syracuse University. She also earned her undergraduate degree at Syracuse University in Anthropology. Nicole’s internships with the National Forest Service and the Syracuse-Onondaga County Planning Agency have reinforced her research interests in the intersecting legal and ethical responsibilities of archaeologists and museum professionals, the NAGPRA process, and community outreach and education. Nicole lives in Syracuse’s Outer Comstock neighborhood with her partner, Vincent. Renée K. Gadoua is a freelance writer and editor whose work appears in numerous local and national publications. She previously worked as a reporter and editor at the Syracuse Post-Standard and has won numerous awards for her writing. She’s interested in the stories behind Central New York’s buildings, with special affection for insights into the everyday people of the region’s rich women’s rights, abolition, and religious legacies. She holds a bachelor’s degree from Le Moyne College and a master’s degree from Syracuse University’s Newhouse School. Renée serves on the board of the Syracuse Chorale and is a longtime volunteer for Girls Incorporated of the YWCA of Syracuse & Onondaga County. Follow her on Twitter @ReneeKGadoua. Grant Johnson is a Cultural Resources Project Manager at Environmental Design & Research, Landscape Architecture, Engineering & Environmental Services, D.P.C. in Syracuse, NY. Since joining EDR in 2012, he has conducted historic resources surveys, undertaken NRHP nominations and determinations of eligibility, and provided cultural resources support to EDR staff for projects in over 30 counties in New York State and throughout the northeast. Grant holds a Master of Arts degree in Historic Preservation Planning from Cornell University, and a Bachelor of Arts degree in Anthropology from Syracuse University. 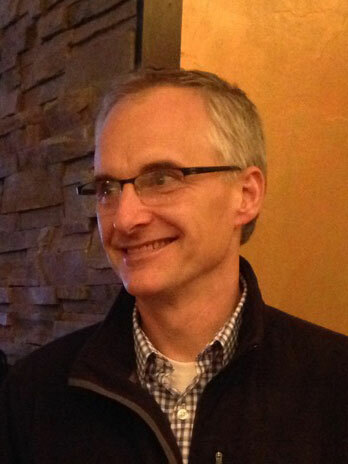 In addition, Grant is the President of the Board of Directors of the Westcott Neighborhood Association and Vice President of the Board of Directors of the Cornell University Historic Preservation Planning Alumni. Jennifer Lauer is a Master of Landscape Architecture candidate in the Department of Landscape Architecture at SUNY College of Environmental Science and Forestry, where she also works as a research assistant with ESF’s Center for Cultural Landscape Preservation. Her research uncovering the cultural landscape of Rose Hill Farm, a 19th century estate in the Finger Lakes, has been supported with the Corliss Knapp Engle Scholarship from the Garden Club of America. Jenny received her BA in environmental studies from Allegheny College with a focus in sustainable development prior to attending graduate school. She began exploring historic preservation during internships with Independence National Historical Park in Philadelphia and the Office of the University Landscape Architect at UPenn. This summer, she will complete a program in cultural landscape interpretation at an abandoned UNESCO heritage historical mining village of Argenitera, Italy, where she will join a team of researchers and artists to install ephemeral outdoor sculptures to activate new modes of cultural tourism connected to place and history. 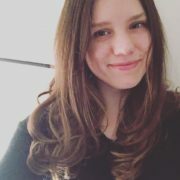 Jenny is passionate about finding novel ways to combine her interests in historic preservation and landscape design, and hopes her education will allow her to re-activate historic sites to tell complex narratives based on careful historical research. 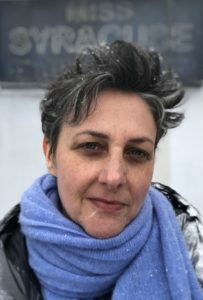 Rachel Leibowitz is an Assistant Professor in the Department of Landscape Architecture at the SUNY College of Environmental Science and Forestry and is a co-director of its Center for Cultural Landscape Preservation. She has taught courses in preservation and the history of architecture and landscape architecture at the University of Texas at Austin and the University of Illinois at Urbana-Champaign. 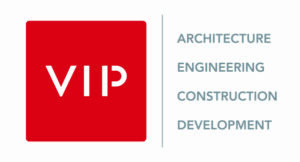 Rachel’s past practice includes positions at two Chicago architecture firms, the Historic Preservation Division of the City of Chicago, and the state historic preservation offices (SHPOs) of Texas and Illinois. Most recently, Dr. Leibowitz served for five years as the Deputy State Historic Preservation Officer of Illinois before joining the ESF faculty in Syracuse. Bruce M. Moseley is director of corporate, foundation and government relations at Colgate University where he also served as interim director of the Picker Art Gallery from June 2007 – January 2009. A 1975 graduate of Middlebury College with a degree in theater, he has an MA in Cultural History/Museology from the University of Vermont and worked for a number of years in the history museum field. He was the registrar at the Gallery Association of New York State (GANYS) and Historic Deerfield, curator at Fort Ticonderoga and executive director of Oneida Community Mansion House. 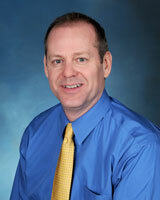 He was also associate director of corporate, foundation and government relations at Syracuse Stage. He has served on the boards of a number of not-for-profit organizations including the Partnership for Community Development in Hamilton, Upstate History Alliance, Central New York Library Resources Council, Vermont Museum and Gallery Alliance, American Precision Museum, New England Museum Association, the Earlville Opera House and Sculpture Space. 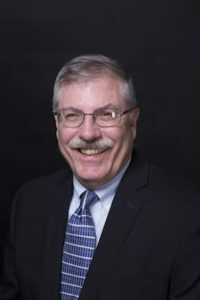 He has been a peer reviewer in the Museum Assessment Program (MAP) of the American Association of Museum and served on grant review panels for the museum program of the New York State Council on the Arts (NYSCA), and for the Preserve New York program of the Preservation League of New York State. Andrew Roblee is an Architectural Historian with Environmental Design & Research, Landscape Architecture, Engineering & Environmental Services, D.P.C. in Syracuse, NY. Since joining EDR in 2017, Andrew has undertaken historic resource surveys and conditions assessment reports on projects across New York State, Massachusetts and Maryland. Before jointing EDR, Andrew was the Facilities Manager at the Seward House Museum, a National Historic Landmark, in Auburn, NY. Andrew holds a Master of Arts degree in Historic Preservation Planning from Cornell University, and a Bachelor of Arts degree in History from Wells College. He lives in Auburn with his wife, Devon, and his two boys, Alex and Arthur. Andrew serves on the City of Auburn Historic Resources Review Board, and has assisted a number of property owners in Cayuga County with their historic rehabilitation projects. Michael Stanton has stimulated important discussions while maintaining the PACNY list serve, engaging hundreds of preservationists, architects, planners and the general public in historic preservation and urban issues. 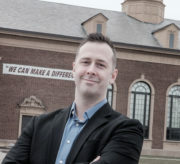 As a Board Member for PACNY, Mike also developed the Syracuse Then and Now website, which won an historic preservation award in 2004 from the Central New York Chapter of the American Institute of Architects. In 2010 he prepared nomination materials leading to the National Grid (Niagara Mohawk) Building being added to the National Register of Historic Places. A former producer of public affairs and documentary television programs, he has a B.A. from Gonzaga University, and M.A. and Ph.D. degrees from the University of Washington. He has also been an outspoken neighborhood advocate as the longtime leader of the Southeast University Neighborhood Association. His contribution has been essential to the success of the local historic preservation movement over the past fifteen years. 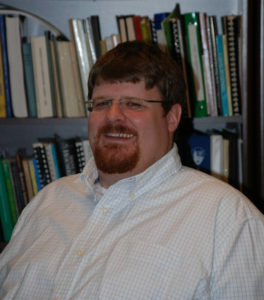 Matthew Urtz was appointed the Madison County Historian in April 2010. He also serves on the Cabinet of Freedom for the National Abolitionist Hall of Fame and Museum and as the 1st Vice-President and Region 9 Coordinator for the Association of Public Historians in New York State. 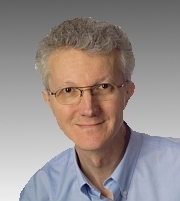 Urtz’s articles have been published in multiple local and regional newspapers and magazines. He does over 30 public and private speaking presentations a year on all things Madison County. In October of 2013 Urtz started a project to record the stories of WWII Veterans from Madison County. That project is ongoing and to date 12 local WWII veterans stories have been recorded, four Korean War Veterans stories have been recorded, and an Air Force National Guard veteran that served in Operation Desert Storm. It also spawned a second series where elderly residents are interviewed, interviews have included a prominent national artist based in Georgetown, the Madison County Clerk from the 1950/1960’s and a farmer who farmed from the late 1940’s to the mid 1990’s. In 2011 Urtz, the Madison County Clerk’s office and Madison/Oneida BOCES formed a partnership that allowed teachers to learn about local primary sources and how to utilize them in their classroom. In October of 2014 Urtz and the Madison County Clerk’s office were awarded the Excellence in the Educational Use of Local Government Records by a Local Government by the New York State Archives for their work incorporating local government documents into teacher’s lesson plans. In 2017 Urtz was awarded a Larry Hackman Research Residency to the New York State Archives to continue his research into the Arthur L. Brooks Grand Army of the Republic 272 based in Hamilton, NY. An article on this research was published in Winter 2019 New York Archives Magazine.